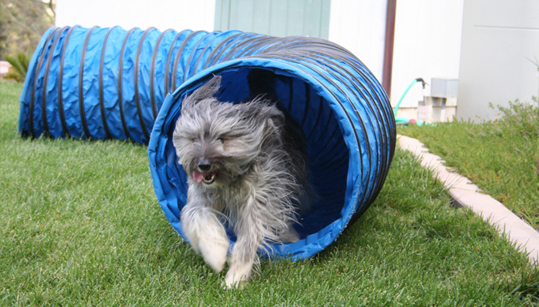 Agility is a wonderful activity for both you and your dog. Some people choose to compete, but you don’t have to compete to gain immense benefit from this activity. Your dog learns to navigate a series of obstacles and in the process gains confidence, learns to think and follow direction, learns how to utilize his body in different ways (body awareness), gets to burn off some excess energy and have fun at the same time. Dog and handler build a strong bond and relationship as you learn together. 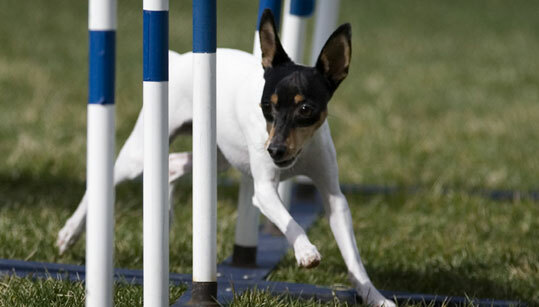 Classes are structured to teach each obstacle at the dog’s level and to progress as the dog gains confidence. (No previous skills required for dog or handler). 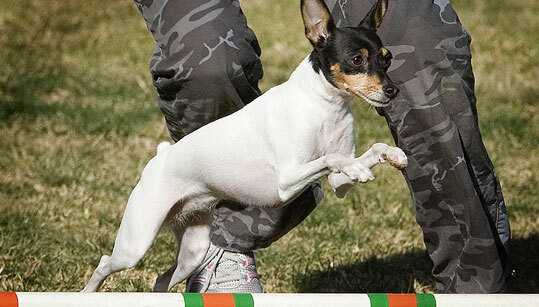 Agility classes are held in La Mesa. Each facility may require separate paperwork. Please fill out all necessary paperwork before attending any classes. 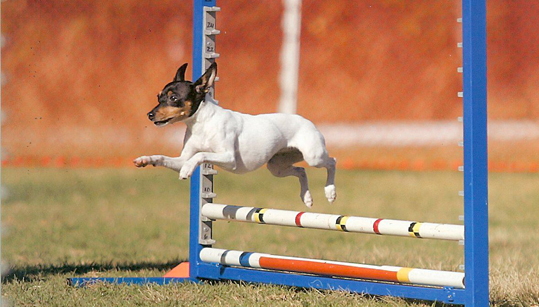 This class is designed for dogs that have never taken an agility class. Dogs and handlers are introduced to all of the obstacles by learning the names of all of the equipment, as well as, how to safely approach and exit all of the obstacles. This class is an introduction class and focuses on fun and safety. This class helps dogs build confidence and coordination. This class is designed for dog and handler teams that are familiar with all of the obstacles and want to improve their teamwork whether for fun or competition. Please note that the summer heat often limits our ability to offer outdoor classes in La Mesa. Evening outdoor classes may be offered in La Mesa during the summer.